At some point, you’ll likely want to introduce a new member to your SIMS 4 family. 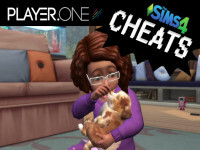 If you don’t want to wait for your new bundle of joy, there are CHEATS TO SPEED UP A SIM’S PREGNANCY. Want a BOY OR A GIRL, there’s also a way to INFLUENCE WHAT GENDER a Sim’s baby will be. You can also raise the chances on whether your Sims will HAVE TWINS OR TRIPLETS. Read on below to find out how to speed up pregnancy with cheats and choose your baby’s gender in The Sims 4. Usually, once your Sim is pregnant, you’ll have to wait around three days before they go into labor and have their baby. If you want to skip all that though there is a cheat to speed up pregnancy. 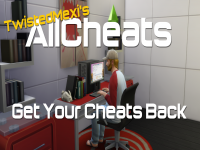 Activate cheats by pressing Ctrl+Shift+C (or all four shoulder buttons on Xbox One or PS4) and type in testingcheats true. Once cheats are activated, open the text box again and type in Sims.add_buff buff_pregnancy_inlabor. Once that’s typed in you can click on your pregnant Sim and they’ll instantly go into labor. There are two ways to influence where you’ll have a boy or a girl in The Sims 4. The easiest way is by cheating. To change your baby to a girl or boy by cheating, just open the text box with the instructions above and type in cas.fulleditmode. You can then press Shift and click on your baby. 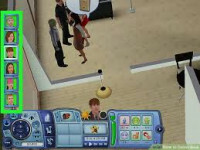 When you do that the Create-a-Sim editor will pop up and you’ll have access to all the options as if you were creating a new Sim. If you want a girl, have your Sim listen to pop music and eat strawberries. If you want a boy, your Sim needs to listen to alternative music and eat carrots. Even if you do the above actions, it’s not a 100% guarantee that you’ll get the gender of baby you want. Like choosing a baby’s gender, there are two ways to influence if your pregnant Sim will have twins in The Sims 4. The first and most efficient way is to use cheats. 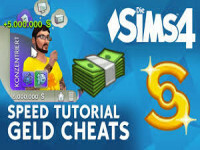 For this cheat code, you’ll need to get your Sim’s ID. You can do this by typing sims.get_sim_id_by_name (enter Sim's name here). When you enter this, you’ll get a long string of numbers that you’ll need to write down. 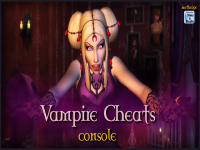 To make your pregnant Sim have twins (or triplets, quadruplets, quintuplets, or even more babies), bring up the cheat entry box and type in pregnancy.force_offspring_count (Sim ID here) (number of babies you want your Sim to have). If you want to try for twins without cheats, you’ll have put in more work. You can get a Fertility massage if you know a Sim with the Wellness skill and have the Spa Day pack installed. Additionally, if your lot trait is “On Ley Line” you’ll have a higher chance of having twins. Again, though, the only way to make 100% sure you have twins is to cheat.